FacilitiesThe hotel offers internet access, wireless internet access and a childcare service.RoomsAll rooms feature air conditioning and a fan. Guests will also find a balcony in most rooms. Cots are available for children. The kitchenette is equipped with a microwave and tea and coffee making equipment. 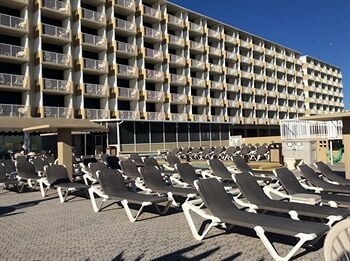 Internet access, a TV and wireless internet access are provided as standard.Sports/EntertainmentThe hotel offers an outdoor pool.